I can't even begin to tell you how much I love dryer balls. Is that a weird thing to love? I used to be the girl who put dryer sheets into the dryer every single load, and throw them away after a single use. I must have used thousands. The only contribution to my life they provided was a nice smelling load of clothes after they dried. 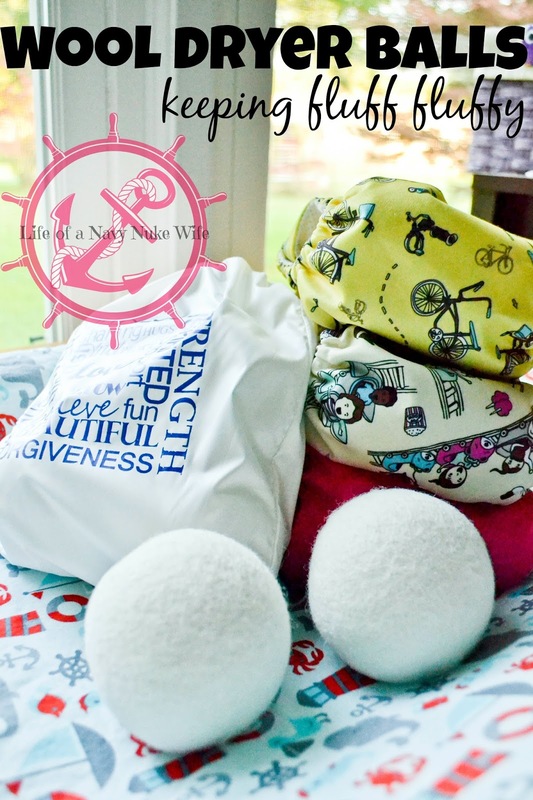 Wool dryer balls have a special place in the hearts of most cloth diapering families. When you're drying something that has six extra absorbent layers . . . it can take a lot of time. Before we got these, we had to dry our inserts and all in ones through the dryer twice. Drying time was around an hour and a half. It was ridiculous, expensive . . . very annoying. Now we have six dryer balls in our washer and it has cut down my drying time nearly in half! These are essential to cloth diaper users! Fabric softeners and dryer sheets are not cloth diaper safe. When we made the switch to cloth, we had to change up a little bit of our wash routine. But with dryer balls, it doesn't seem like it's that difficult at all. My clothes still come out soft and smell nice without all the extra chemicals. I add a drop of essential oil to a few of the dryer balls every few month or so, and it gives them a great scent. These wool balls include a cute carrying case in case you are traveling and want to take them with you (or you're moving!) and a silly little sheep coin purse. It's a great conversation starter for my green life when I take it out to get change. Have you used dryer balls before? Look for a giveaway for your very own set later this week! Love that they include a cute carrying case for travel!! With our sensitive skin Id love to stray away from dryer sheets!!! I have also heard you can put essential oils on them and Id love to try that!! Those are a lot bigger of wool balls than what I used to have. Nice! I can't wait to try dryer balls. It's one thing I haven't gotten yet, but with two in cloth in a couple more months, I need to!